The Samsung Galaxy Camera might not be the first Android-powered camera on the market -- Polaroid showed a prototype camera running on the Android operating system at CES 2012 and Nikon launched the Coolpix S800c, a compact camera running Android 2.3, in August this year. 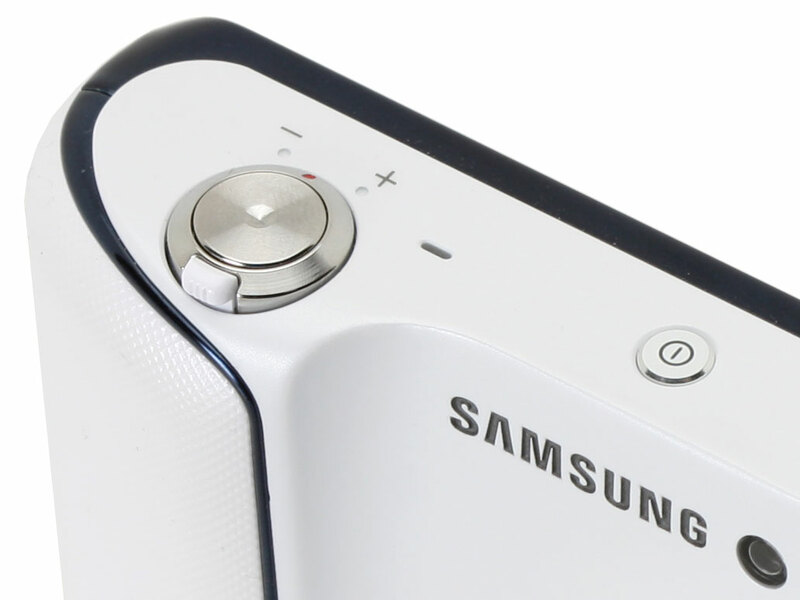 However, in contrast to Polaroid and Nikon, Samsung is not only a manufacturer of digital compact cameras but also currently the most succesful player in the Android smartphone market, which is part of the reason why the Galaxy Camera is arguably the most interesting Android-powered camera we have seen so far. The device takes components from Samsung's WB850F compact superzoom camera and the Korean manufacturer's flasgship smartphone, the Galaxy S3. 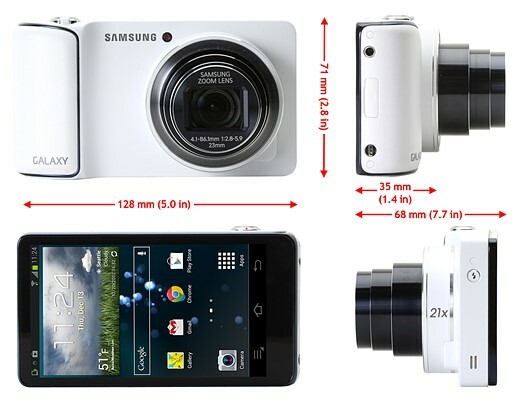 The Galaxy Camera's lens and sensor come from the WB850F while most of the device's other key specifications are in line with the Galaxy S3. A 1.4GHz quad-core processor powers the Android 4.1 'Jelly Bean' operating system. The end result of this fusion of technologies is a compact superzoom camera with a 23mm wideangle, 21x zoom lens and pop-up flash that offers the ability to edit images on the go, share them wirelessly via Wi-Fi or 3G/4G data connectivity and install a plethora of apps from the Google Play Store. You can play Angry Birds or get public transport directions with Google Maps on the Galaxy Camera, but of course the photograpy-related apps prove most interesting. You can finally use a true zoom lens to compose your images and use apps such as Snapseed, Photoshop Express or Perfectly Clear to edit directly on the device and then share via Instagram or EyeEm, without the need to transfer to a computer first. When used as a mobile device, the Galaxy Camera essentially offers the performance and features of the S3, lacking a front-facing camera and the ability to place voice calls. It is, however, possible to voice-chat via Skype or similar apps. The Galaxy Camera comes with Samsung-specific sharing and backup options pre-installed, but third-party solutions such as Dropbox or Amazon Cloud Photos also allow you to share your images and upload to the cloud right after they've been captured. We've put the Samsung Galaxy Camera through our real-life and lab testing, keep reading to find out how we got on. The Samsung Galaxy Camera is a true hybrid -- not only under the hood but also from a design point of view. From the front the Galaxy looks pretty much like a typical long-zoom compact camera, albeit one that's slightly on the bulky side. The reason for the larger-than-average footprint quickly becomes obvious when you turn the camera around. The entire back of the device is a 4.8" touch screen -- identical to the one you would find on Samsung's current flasgship smartphone, the Galaxy S3. While this screen is a pleasure to frame your shots and view your images on, it's also quite a bit larger than the 3" screens that are standard on most current digital cameras. This explains the Galaxy Camera's larger dimensions compared to other long-zoom compacts. The shutter button/zoom rocker and power button on the top plate and flash button on the side are the only external controls on the Galaxy Camera. 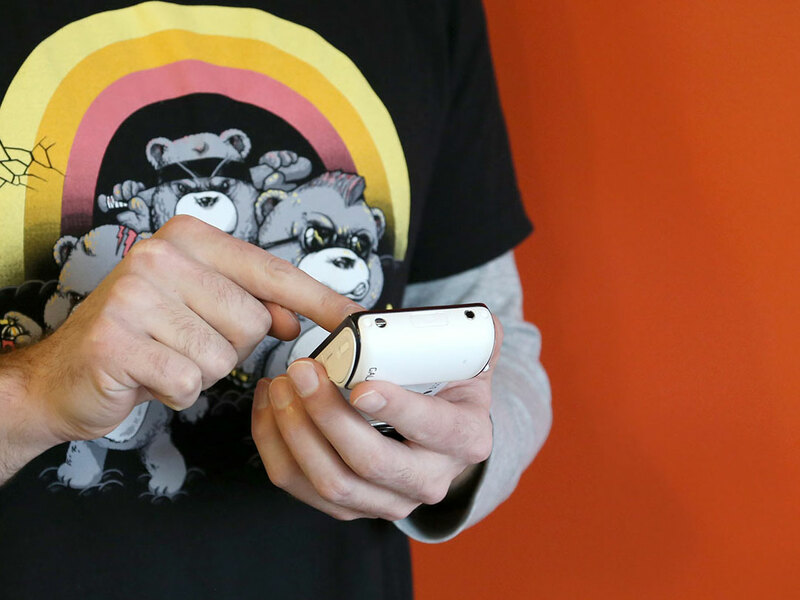 The device draws its powers from a smaller battery than used in the Galaxy S3 smartphone. 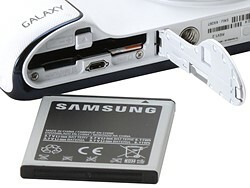 In the battery compartment you'll also find the SIM and Micro-SD card slots and a Mini-HDMI connector. Despite its size, the camera handles well. The rubberized material of the grip feels comfortable in the hand and, with its metal front, the entire camera feels very well made. The grip is fairly generously dimensioned and also helps to navigate the Android OS on the touch screen when holding the camera. Hence, an almost total absence of external controls on the Galaxy Camera. Since all camera settings are accessed via the camera app, in terms of photographic controls the device only requires a shutter-button/zoom rocker combination on the top-plate. The only other physical controls are the power button and a small button on the camera's left side which pops up the built-in flash. When flipped on its back the Galaxy Camera looks and operates exactly like a state-of-the-art Android smartphone, with slightly larger dimensions. You have the familiar Android user interface with Samsung's TouchWiz launcher, and navigating Google Maps, looking up a restaurant on Yelp, creating a shopping list in Evernote or playing a round of Angry Birds works just like on any other current Android phone. The only difference is the lack of a front-facing camera for video chats and the ability to make phone calls. When using the Galaxy Camera in "phone mode" it pretty much handles and operates like a current smartphone, minus the ability to place phone calls or text. The Galaxy Camera runs Android 4.1 which, while not the very latest version of the operating system, is the one that is in use in most current high-end Android smartphones (currently only Google's Nexus phones run the newer version, Android 4.2). Android 4.1's most notable differences from previous versions are the smoother interface animation (‘Project Butter’) and Google Now -- an 'intelligent' personal assistant that can update you on your favorite sports team and check traffic and transit information, amongst other things. The system looks at the usage-patterns of your device and attempts to anticipate what you are planning to do. You can read more about the Android Operating System in our guide.